Basil Essential Oil (10 ml): Ancient Living Basil Essential Oil can help stimulate mind and improves concentration. It is also said to help with headache, bronchitis, rheumatism. Citronella Essential Oil (10 ml) : Ancient Living Citronella Essential Oil helps to relieve cold, flu, chest congestion and heach ache. The fresh Citrus aroma can lift the mood. Eucalyptus Essential Oil (10 ml) : Ancient Living Eucalyptus Essential Oil helps bronchitis, cold sores, cold coughing, fever, flu and sinusitis. 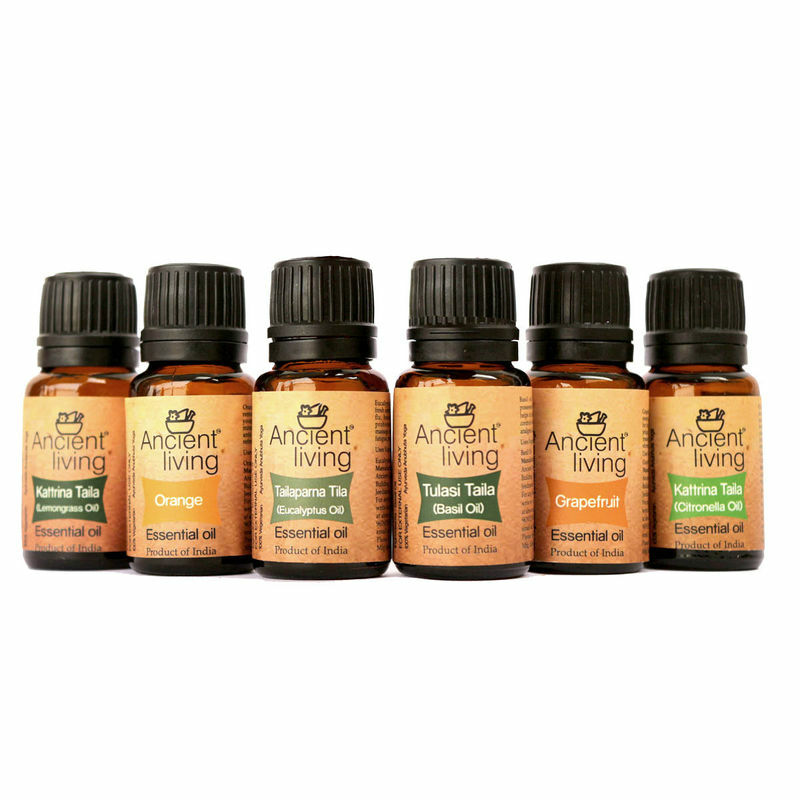 Grapefruit Essential Oil (10 ml) : Ancient Living Grapefruit Essential Oil is an antioxidant which protects from free radicals that causes tissue degeneration. This oil has anti-aging properties which reduces excess water, fats, sodium and other toxins. Lemongrass Essential Oil (10 ml) : Ancient Living Lemongrass Essential Oil helps to reduce stress relieves jet lag. It relaxes muscles, reduces fatigue and energizes. 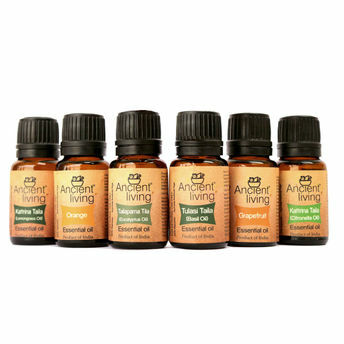 Orange Essential Oil (10 ml): Ancient Living Orange Essential Oil is a anti-depressant, anti-inflammatory, anti-septic, anti-cancer and encourages detoxification.